An explosion at Istanbul's second-largest airport on Wednesday killed one cleaner on an airplane and injured another, Dogan news agency said. The news agency added that authorities were investigating whether the blast was caused by a bomb. Budget carrier Pegasus said the explosion at Sabiha Gokcen airport on the Asian side of the city occurred at 2:05 a.m. (7:05 p.m. ET Tuesday), when no passengers were in the area. It said its operations at the airport were continuing normally. 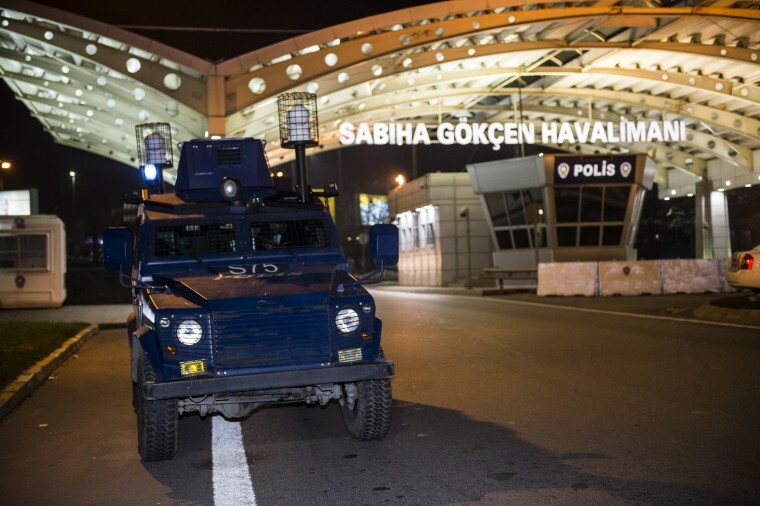 Police armed with rifles and protective vests imposed tight security at entrances to the airport after the blast, searching vehicles while a police helicopter circled overhead, state-run Anadolu Agency said. Anadolu earlier reported that one of the cleaners suffered a head wound, while the other was wounded in the hand. Both were women. Police declined comment on the incident. The airport said investigations into the cause of the blast were ongoing, and that air traffic was operating normally. Bomb attacks by Kurdish, leftist and Islamist militants are common in Turkey. A three-decades-old conflict between the state and the militant Kurdistan Workers Party (PKK) has flared up in Turkey's mainly Kurdish southeast since the collapse of a ceasefire in July. According to its website, the airport served around 26 million passengers in the first 11 months of the year, less than half the number at the main Ataturk airport on the European side of the city.